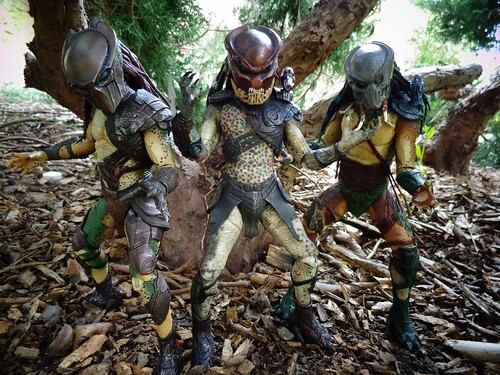 I really hope that NECA updates these Predators. I hate to say it but they are starting to look dated. NECA's new Predator figures are amazing. Their paint jobs are really dated, but.. you know, the hip articulation may be more limiting, but you can't SEE the ball joints, and they stand a lot sturdier than newer Preds. Also, the Tracker needs to be remade with better QC for those tusks.